Detroit Police Detective Russ Baker is in charge of Cold Cases and with his partner, Mary, and their ghostly friend and partner, Wes Loomis, they have to solve murders to be able to send the victim’s spirits to the hereafter. 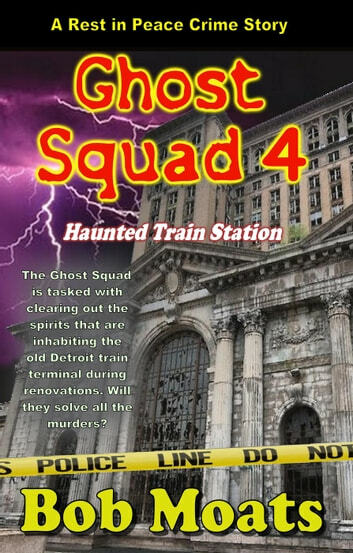 Their Captain came to them with a problem, it seems that the old Michigan Central Train Station has ghosts haunting the workers who are trying to clean out the station for renovation. 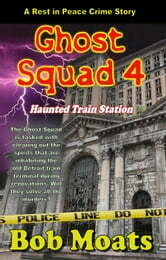 They find seven ghosts who all have cases of murder forcing them to haunt the station. It becomes a task to hunt down each case and set the ghosts free since some cases have not been solved in over fifty years. Will they find the killers to give the victims their freedom? Murder, mayhem, humor, ghosts galore, and lots of fun are in store in this paranormal ghost crime story by Bob Moats. This book is a novella.